Michigan Rescue and Restore Coaliton offer Hands That Heal Training - DCF Anti-Drug and Trafficking, Ink 501(c)3 & Michigan Rescue and Restore Coalition Educating, Engaging and Empowering Advocates Against Human Trafficking, Substance Abuse and Homelessness. Website Under Construction - Please Review! 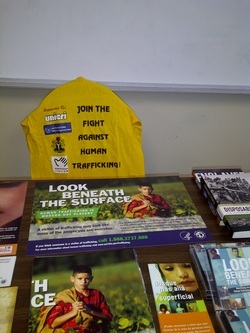 Learn What You Can Do to Help Victims of Trafficking! FREE TO THE PUBLIC ! Bring your bag lunch or snack. Become equipped to restore a life!